Melissa McCarthy brought her mother Sandy to the big event. 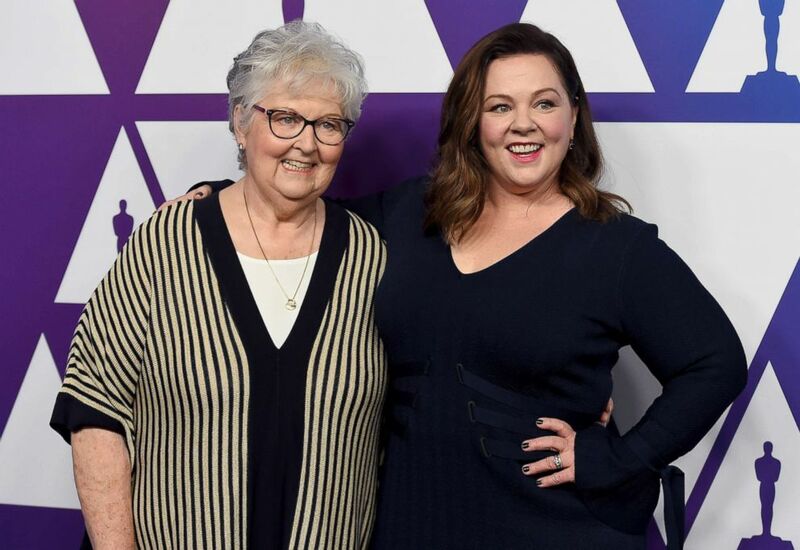 Melissa McCarthy attended the Oscar nominees luncheon on Monday with a special guest -- her mother, Sandy. She also won an award later in the night, thanking her mother and father! The “Can You Ever Forgive Me?” star, who is a best actress nominee for her performance in the film, spoke with ABC's own Chris Connelly about the duo's fun moment. "I was at a table with my mom. We had so much fun. We asked if she'd want to go and she's like, "Well, do we really get lunch?'" McCarthy said. "And I said, 'We do. And I was like, is the deal off if they don't give lunch?'" she added. She shared a selfie of them smiling at the star-studded event. Academy luncheon with my mom- amazing!!! McCarthy also told Connelly about how encouraging her family has been throughout her career. "My mom and dad both always supported me, you know, maybe even more than they should have but always were just kind of, like, 'if you work hard enough, why not?'" she said. McCarthy and her mother did a joint interview for AARP The Magazine in April 2018. McCarthy told her mother, "I don't know how you did it, Mom. I would have said, 'This is silly. You're not going to become an actor…' The fact that you didn't give me guilt changed the course of my life. Because if I'd been guilted out, I definitely would have quit," she told the magazine. (Jordan Strauss/Invision/AP) Sandy McCarthy, left, and Melissa McCarthy arrive at the 91st Academy Awards Nominees Luncheon, Feb. 4, 2019, at The Beverly Hilton Hotel in Beverly Hills, Calif.
Sandy McCarthy said the family never pressured Melissa to finish college before pursuing her dream. "We just said, 'If she doesn't want to go to college, OK. Let's let her give this new thing a try, which is kind of terrible parental advice," the older McCarthy told AARP The Magazine. Added Melissa McCarthy, "But also the greatest thing I could have possibly asked for, A normal parent might have said, 'You're insane.' Instead, this maniac kept saying, 'OK, good luck. Let me know what play you're doing.' I was, like, 'My mother's crazy!'"